Leasing a horse from Lost Creek Ranch is the best way to gain quality horsemanship and riding experience in a structured, safe environment. 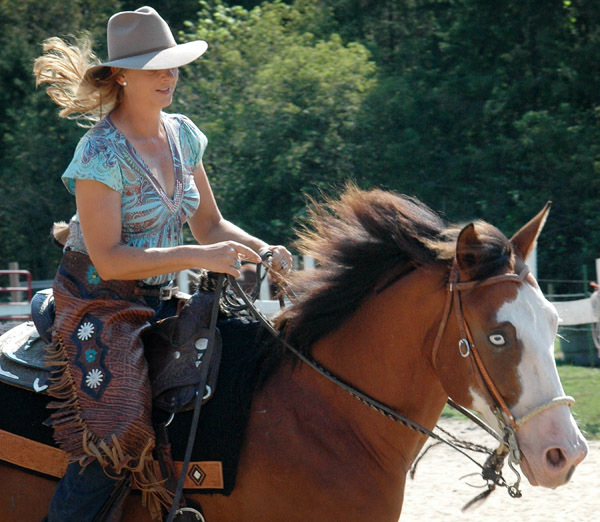 Our lessors range from beginner riders learning and bonding with "their" horse to intermediate riders interested in advanced riding skills and getting ready to show. 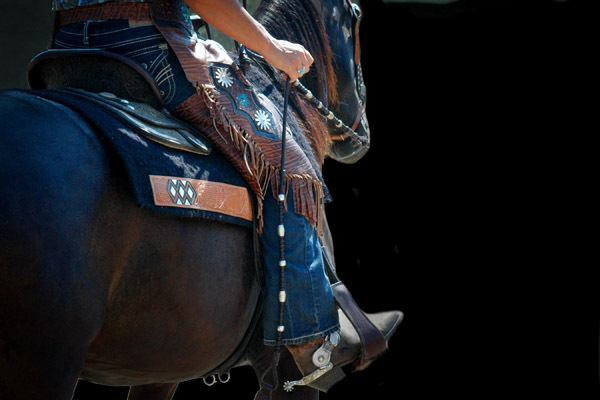 *perfect for dedicated riders who want to advance their riding and horsemanship skills. 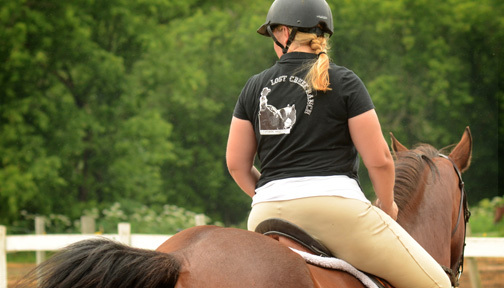 *great lease package for youth riders and busy adults. *For riders who drive a distance lease days can be combined into longer days on Saturdays or after school. Talk to us about your schedule and we'll help you make it work. Stryker is a Pintabian gelding (paint/ arab cross) who has the cutest face and beautiful movement. He has shown in dressage schooling shows and is loved by riders and judges alike. Stryker is around 15hh with a round barrel so he can accommodate a taller rider. 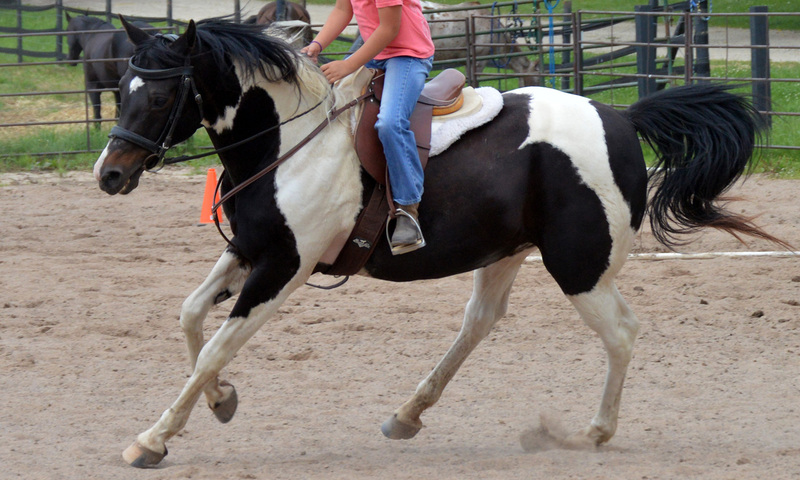 He does best with an advanced beginner rider who enjoys forward movement- he has a natural extended trot! He's just waiting to be someones show partner! 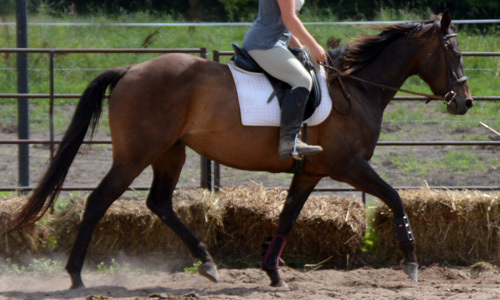 Finney is a nice half Arab gelding who has a dressage background and has a lot to teach a rider. He is smart and fun to ride with nice movement and has been shown by youth in dressage and English Pleasure. 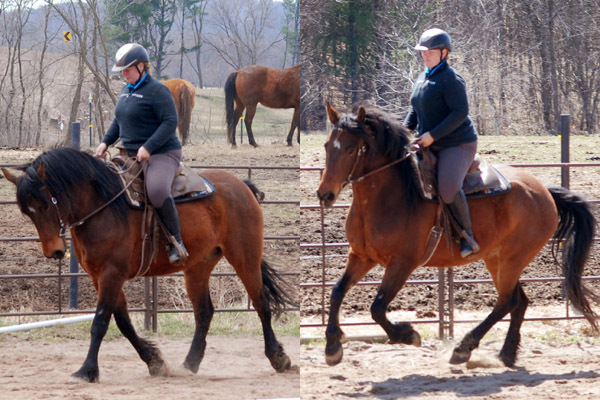 Finney has a beginner safe canter to learn on and does excellent lateral work. Hottie is a POA (Ponies of America) mare who is perfectly suited for youth riders interested in showing Western and /or English. Hottie is a Western DressageYouth Res. World Champion and is looking for her next partner. 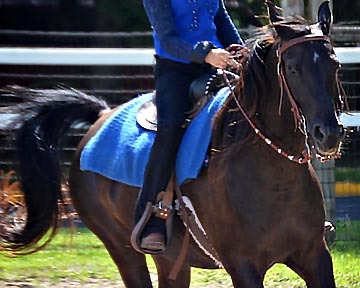 Bree is an Appendix mare with beautiful movement for both English and Western riding. Bree can be sweet or opinionated and is best suited to an advanced beginner/ intermediate level rider who can give Bree consistant riding to build a bond. She has been shown up to training level dressage, enjoys trail obstacle work and has done cow sorting. *Available for full or partial lease. Nickers is our Friesian Sporthorse with the big puppy dog personality! He has shown in Intro Level Dressage and English Pleasure and low level jumping. He loves cows and would do well in ranch riding as well. Nickers is beginner safe with potential for advanced riders. He has show ring experience with youth as well as adults and always places high. Mickey is a great lesson and show horse who is schooling advanced manuvuers. He is easy to ride for all levels of rider from the littlest kids to advanced adults. He has been shown in dressage at Training Level, is always in the ribbons in English Pleasure. Gracie is a half Arab and was Lynettes first rescue many years ago. Lynette can tell you Gracie's past but we prefer to talk about how Gracie is now. 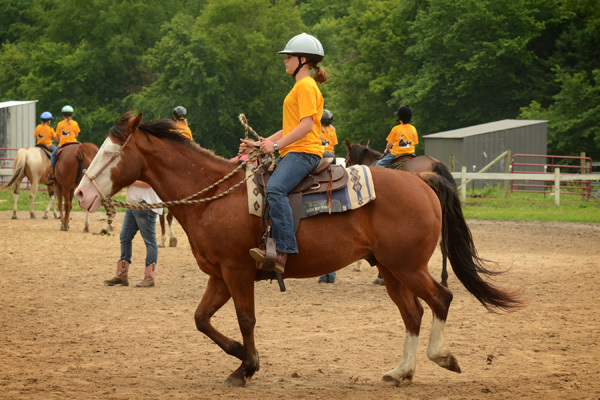 She is by far the most popular lesson horse for both youth and adults. Gracie is sweet , has the smoothest canter and loves to GO! Gracie enjoys arena work as well as getting out on the trails. 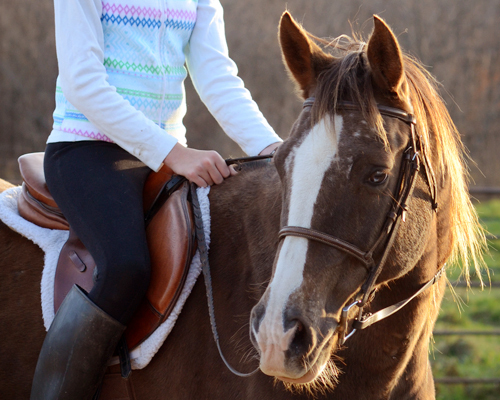 She is the perfect first horse to lease and learn on. 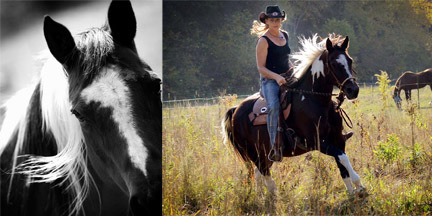 Lynette Weldon has a select group of horses that she works with and trains in the vaquero tradition. Though not commonly known in the midwest the vaquero tradition is a centuries old way of training a bridal horse. 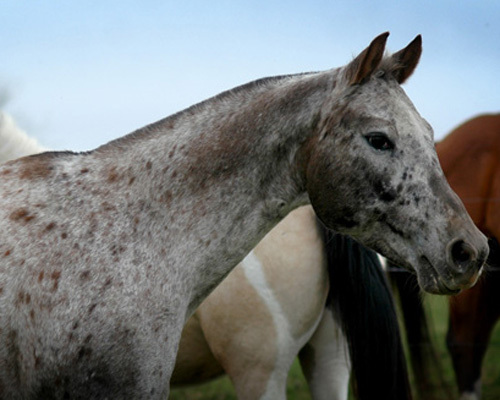 Based on centuries-old traditions, the Vaquero method takes a horse from hackamore through the two rein and finally into the spade bit, producing a finely tuned working horse and partner. Its emphasis has always been on the resulting equine athlete’s quality rather than on how quickly the goal is reached." Lynette begins all of her young horses (and older ones who need to be restarted) in the vaquero tradition with no timeline- letting the horse learn at its own pace creates a quiet mind and sound body. Anyone who has had the opportunity to ride one of Lynette's finished bridal horses never forgets the experience of how light a horse can be- and they quickly become interested in this style of horsemanship. "Respectfully responding to just a hair’s feel on the reins, the finished bridle horse is a masterpiece. Creating the sensitivity and response of a spade bit horse begins in the hackamore. If you are in a hurry, don’t count on finding perfection."